Somerville, NJ- Baker and Rannells P.A. -May 31, 2017, is pleased to announce that experienced Intellectual Property Attorney, Sergei Orel has joined the firm as an Associate Attorney. “Sergei brings sharp intellect, extensive experience and an admirable work ethic. He is a welcome addition to the B&R family” says Stephen Baker, Esq. President of Baker and Rannells, PA.
Mr. Orel comes to Baker and Rannells with 17 years’ experience in Intellectual Property Law. His background includes US and International trademark prosecution, maintenance and enforcement, trademark opposition, cancellation and litigation matters, and anti-counterfeiting matters; copyright application and copyright litigation matters; and domain name dispute resolution matters. He has studied at Kharkov State University (French Language), Hunter College (B.A. in Economics) and Rutgers Law School- Newark J.D. He was admitted to the Bar in 2001, U.S. Court of Appeals, Second and Third Circuit, U.S. District Court for the District of New Jersey. 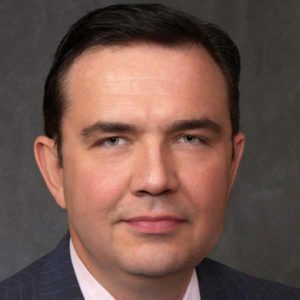 He is also a member of INTA (International Trademark Association) as well as UABA (Ukrainian- American Bar Association); he speaks French, Russian, Ukrainian, Polish, and has a working understanding of Spanish and Italian. For more than 70 years Baker and Rannells has been one of the most recognized authorities in Trademark, Copyright, Patent, and related Intellectual Property matters including music and entertainment law. Our commitment to our clients is to provide the very highest quality legal services at fair, competitive rates.